Most of us have flown a kite as a child, or watched someone else flying one. In China, kite flying has been a national pastime for more than 2000 years. Competitions are held annually and internationally, and kite flying is now being recognized more and more as a great activity to do to benefit health. Chinese TCM doctors of ancient China thought that “looking up with the mouth open while flying a kite helps to expel the internal heat” and is “the best way to improve eyes“. Kite flying is a good therapy for relaxing the mind, promoting blood circulation, lowering blood pressure and helping prevent dizziness. Looking upwards at the sky will relax eye muscles and strengthen optic nerves. Flying a kite will also increase physical strength, agility and balance. 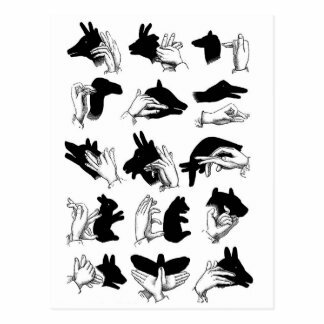 Another popular traditional game you may have played as a child is hand shadow puppets. Remember when you would turn out the lights and shine a flash light onto the wall, then twist your fingers and hands to make them cast animal shadows -was it a dog? a rabbit? a camel?? Well, not only were you having fun but you were also benefiting your health! According to TCM there are three yin meridians (heart, lungs, pericardium) and three yang meridians (small intestine, large intestine, triple heater) that begin or end in the fingers. Manipulating and flexing the hands and fingers will encourage qi flow through these meridians and stimulate important acupoints to help prevent arthritis of the hands and promote general good health.